This blog looks really dead. 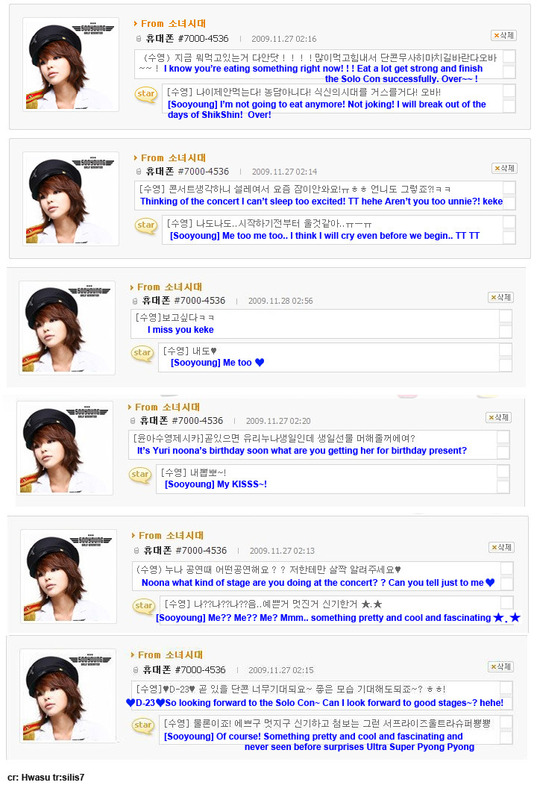 I should liven it up with UFO replies from Sooyoung! Hehe her replies are funny. Haha, this must be the reason why I love her. Yeah, she’s the funniest in SNSD with words xD . Actions are probably Yuri.